Today's Parent, Canada's national parenting magazine, is committed to helping parents build happy, healthy families. This blog contains articles that tackle the complete range of parenting issues, including health, education and behaviour. In June of 2017, Beyoncé welcomed twins Rumi and Sir with hubby Jay-Z, and almost a year later she gave birth to another life-changing creation—her history-making Coachella performance. 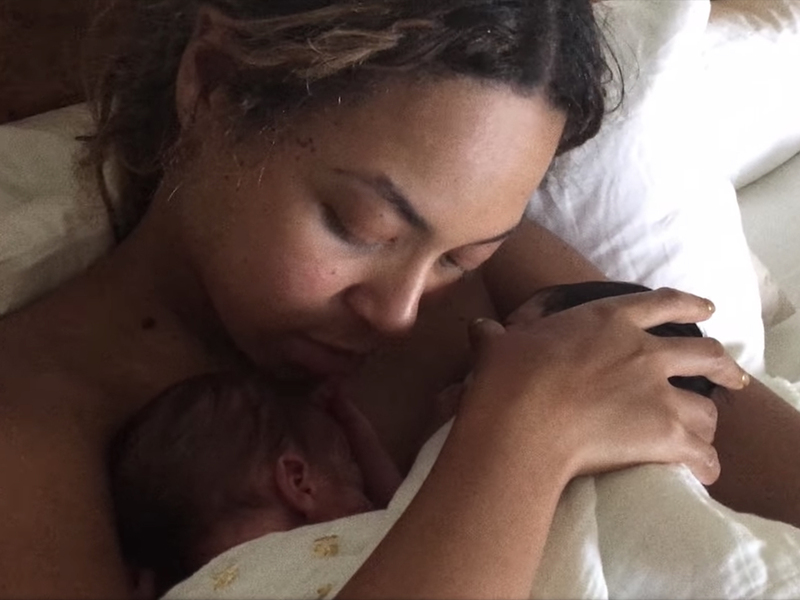 In her new Netflix documentary, Homecoming, the superstar takes us behind the curtain of both transformative events, and we’re still reeling from those glimpses into the delivery room! In a beautiful montage of her pregnancy and labour, we see a beaming Bey at an ultrasound appointment before flashes from the hospital following her c-section, Jay-Z still in his surgical gear and their newborns cozy in their hospital hats and swaddles. It ends with a stunning video of Beyoncé in bed doing skin-to-skin with her tiny newborns, looking the picture of maternal bliss. The clips give way to an inside look at the rigorous lifestyle changes she made and rehearsals schedule she undertook to get back into shape and become the first black woman ever to headline the California music festival. And her going-back-to-work fears were so relatable (even if her work is a little different from ours). In scenes where Beyoncé is working out, Jay-Z is right beside her, massaging her muscle spasms and helping her stretch. And after limiting herself to “no bread, no carbs, no sugar, no dairy, no meat, no fish, no alcohol” (and being hungry, she admits), he’s the first person she FaceTimes when she finally gets back into her pre-pregnancy costumes a month before the festival (“And it’s zipped!” she exclaims). 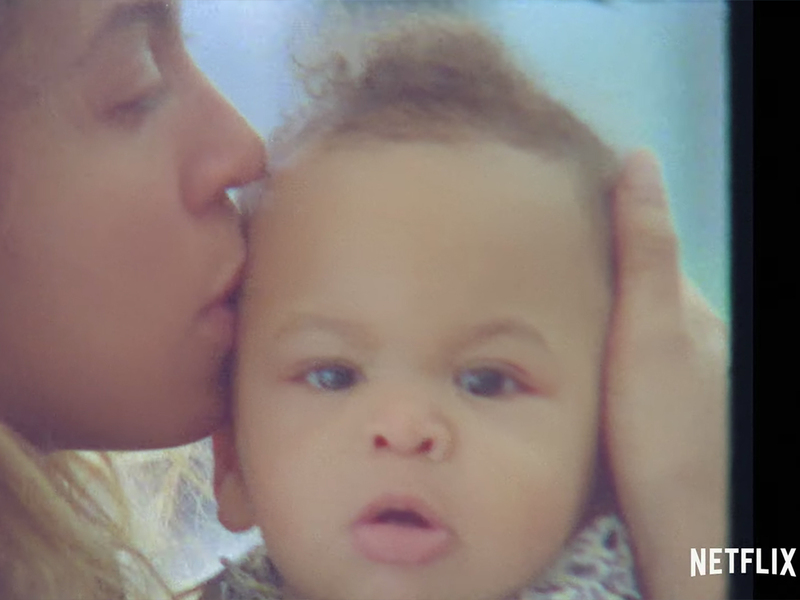 Other montages in the doc show Queen Bey playing with one of her twins in an activity centre, her older daughter Blue Ivy watching her practice, and mom and twins being lovingly reunited after rehearsal. In the end, she gave the world a performance that will never be forgotten, documented beautifully in this two-hour film and the surprise live album she released simultaneously. But Beyoncé also learned something major along the way. 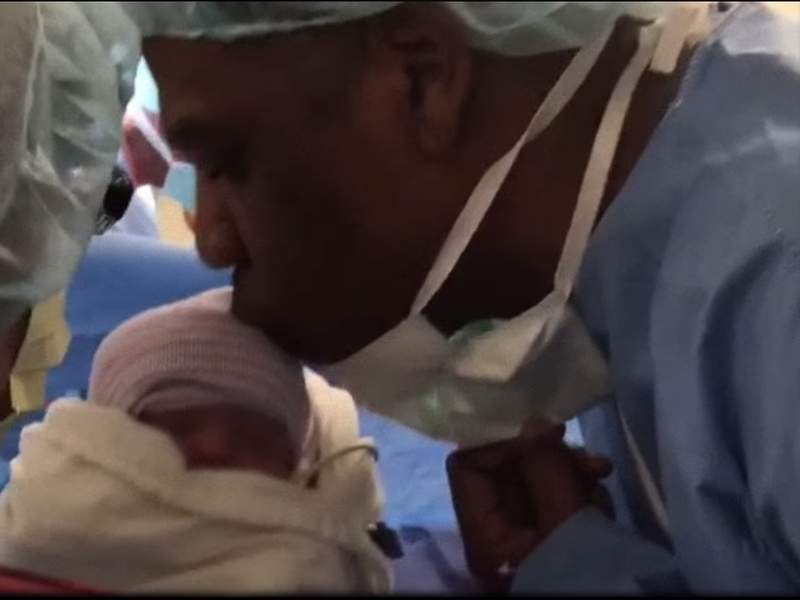 The post Beyoncé takes us inside the delivery room with Rumi and Sir in new Netflix documentary appeared first on Today's Parent. Just as Meghan Markle was not your typical royal bride (“Stand By Me,” anyone? ), the Duke and Duchess of Sussex are forging their own parenting path, with plenty of breaks from royal protocol. From (gasp!) Meghan’s desire for a little privacy to a potential Instagram debut, here’s a look at the royal baby traditions that might be broken. How it’s traditionally done: Women in the royal family usually give birth in the Lindo Wing at St. Mary’s Hospital, where Kate Middleton and her mother-in-law Diana before her both welcomed their little royal bundles. How Meghan is changing the rules: According to the Daily Mail, Meghan and Harry are snubbing the usual royal birthing location in favour of a hospital closer to their new home at Frogmore Cottage, or possibly even a home birth. Not just that, they are bringing in their own medical team. Meghan doesn’t want the “men in suits,” a.k.a. the official Royal Household gynecologists Alan Farthing and Guy Thorpe-Beeston. Scandal level: If not quite “pass the smelling salts,” this is definitely a significant break from 40 years of tradition. How it’s traditionally done: As unavoidable as giving birth inside the Lindo Wing is posing for a post-baby glam shot on the steps outside. You know the one where the new mom looks like she just stepped off a catwalk? Kate Middleton has done the stairs shot three times now—always with a perfect blow out and adorable new outfit. Scandal level: Pretty high, especially if (as many suspect), the new parents circumvent the media all together by debuting the newest royal on their Instagram account. (Note: This is maybe not the best way to bring the thorny British press on side, but good for them for giving zero crumpets). Prince Harry and Meghan will probably use one of these five royal baby namesHow it’s traditionally done: Royal babies get royal (read: old and extremely Eeeeeenglish sounding) names: Elizabeth, Anne, Henry, William, George, Charles… Basically, if the kid doesn’t sound like he or she could have been alive 200 years ago, it doesn’t fly. How Meghan is changing the rules: At this point, British betting sights are still favouring traditional options like Elizabeth (a crown tip to Granny, of course) and Albert (seriously?). Diana is another top contender for obvious reasons. Still, the bookies probably didn’t bank on an American bi-racial actor for Harry’s bride, so what do they know? Given Meghan’s New Agey ways, don’t discount the possibility of something a little outside the box. Maybe Mia or Jacob? How it’s traditionally done: Royals eat meat. Most even hunt for it. How Meghan is changing the rules: According to a report by The Sun, Meghan and Harry are planning to raise their baby vegan even though that “will not be tolerated” by the Queen. This, for the record, is almost certainly a pile of plant-based crap (Meghan herself isn’t entirely vegan). Still, you can imagine her love of California cuisine will impact her child’s diet when he or she gets a little older. More quinoa, less roasted pheasant, or whatever it is the royals love to kill-and-eat. Scandal level: Not true. No scandal. How it’s traditionally done: The royal baby would have a title. Assuming nobody in line to the throne dies between now and the birth, that title would be Earl of Dumbarton (for a boy) or Lady Mountbatten-Windsor (for a girl). The child’s surname will likely be Sussex. How Meghan is changing the rules: There has been talk (and by talk we mean unsubstantiated tabloid reports) that Harry and Meghan will not seek a title for their son or daughter. This would be following in the footsteps of Harry’s aunt Princess Anne, who wanted her two kids (Zara and Peter) to grow up as commoners. Harry has been pretty vocal in the past about how not everyone in the royal family aspires to the throne, so saying “thanks but no thanks Gran” would be in keeping with this attitude. Note that even without titles, the child, from an inheritance point of view, would be a member of the House of Windsor. Scandal level: Mildly scandalous according to actual commoners, who may see this as a case of getting all the benefits with none of the burdens (read: work) that come with a title. The post How Meghan Markle is breaking tradition with her royal baby appeared first on Today's Parent. We’ve all seen newborn baby photoshoots that have melted our hearts, but how about ones of furry babies with paws and a tail? Brenden Boggs of So Cute Photo specializes in snaps of newborn babies, but as soon as she saw Olive, an adorable French Bulldog puppy, she knew she had to make an exception. The teeny pup was gifted to Boggs’ friend for her birthday. When Boggs suggested a newborn-style puppyshoot for her friend’s furry little pal, she was totally on board. “As a newborn photographer, it’s pretty safe to say I love babies… But you say puppy and I lose my mind—like my heart cannot handle it,” Boggs wrote in a blog post. In the photo series, Boggs captured precious little Olive in all sorts of outfits and positions: wearing a pink flower crown, wrapped up in cozy blankets and sound asleep in a teeny basket. Our hearts! 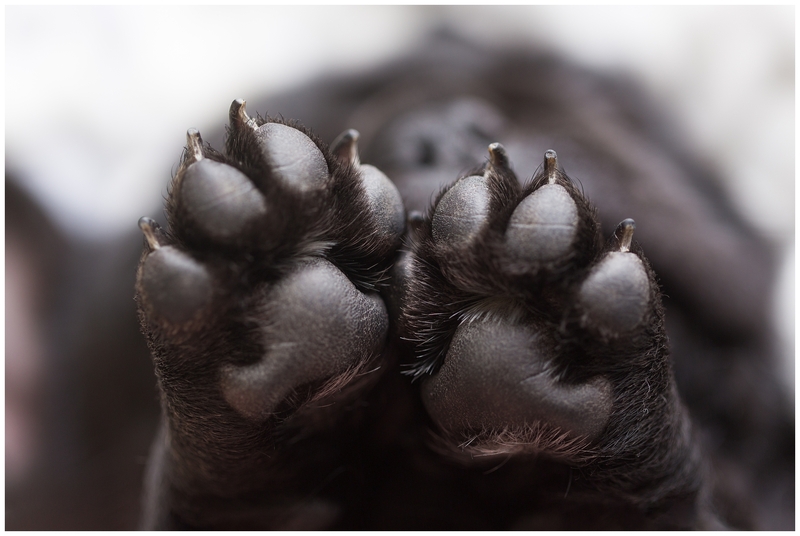 With closeups of the sweet puppy’s little paws and fuzzy ears, there’s no doubt that these are some of the cutest newborn photos ever. From photographing the adorable little fur ball to sneaking in some puppy snuggles, it’s clear to see why Boggs says her heart was full all day. The post We’re living for this newborn photo shoot with a French Bulldog puppy appeared first on Today's Parent. Pregnancy and opinion go hand in hand. Whether you take a sip of wine, sample a bit of soft cheese or relax in a hot bath, everybody and their mother will have something to say about it—which can be hard to handle when you’re dealing with heartburn, swollen feet and sleepless nights (not to mention raging hormones). So if one of your few comforts is your daily dose of caffeine, there’s no judgment here! She went on to explain that at 36 weeks pregnant, she’s “Huge. Massive. Uncomfortable. Tired and grumpy,” and was simply waiting for her order, a grande cold brew, at her local café. When the barista called her name, she went to grab her coffee when an elderly woman, whom she affectionately (OK, maybe passively aggressively) refers to as “grandma,” tried to come between the mom-to-be and her coffee. Can pregnant women drink coffee? “You can’t have that, you’re pregnant!,” the woman shouted. CountingRavens attempted to explain that one cup is fine, but after shouting at her again, the ‘grandma’ literally grabbed her full bevy and dropped it in the trash. Then in a tone she refers to as “banshee screaming,” the coffee-snatcher launched into another rant, shouting, “No, you can’t have it, you’re pregnant, it will make you have the baby now! You can’t do it, I won’t let my daughter do it either but she drinks it anyway and if I can’t save her I’ll save you instead.” Wow. At long last, uninvited guardian of her baby’s wellbeing left her alone. And as for the naysayers, a thoroughly fed up CountingRavens had some words for them, too: “for the couple of you who are suggesting that this is a false story, bite me,” she said at the top of the post. Now, maybe the old lady’s heart was in the right place. Maybe her OB, years ago, told her that caffeine could hurt her baby or induce premature labour. But times have changed, grandma. And it’s never OK to treat a person like that. The post This pregnant woman was all of us when an aggressive ‘grandma’ threw out her coffee appeared first on Today's Parent. There was a lot to digest in Kim Kardashian West’s ’73 Questions’ video for Vogue, from her and Kanye’s insanely minimalist home (where are the toys?!) to Anna Wintour’s role in naming their daughter. But one thing in particular stole the show—five-year-old North West’s love of Bill Nye The Science Guy. “I want to meet him,” North piped in, and now we’re excitedly awaiting their inevitable meet and greet. With a history of over-the-top birthday parties, maybe North will ring in her 6th with a science-themed ‘do—and an appearance by the Science Guy himself? Why girls need STEM and why STEM needs girlsAlso, it shows Nori’s budding love of STEM—that’s science, technology, engineering and mathematics—which is a curriculum that’s been a hot topic of late, especially where girls are concerned. We love that she may be inspiring her little fans to get into science, too. If you’re looking to foster some STEM love in your little ones, you can find Bill Nye The Science Guy episodes on YouTube in Canada and Netflix in the United States. Parents, you’ll love spotting cameos by Drew Barrymore, Samuel L. Jackson, Bob Ross and Christopher Walken! His revamped 2018 Netflix series, Bill Nye Saves The World, has more of an adult talk show vibe (and appearances by Ali Wong, Karlie Kloss, Zach Braff and more), but with the same over-the-top science sketches we all loved as kids. So Nori, thanks for inspiring a new generation of girls to love the wonderful world of science! We bet with Saint, Chicago and a third sibling on the way to follow your lead, Kim and Kanye will want to experiment-proof their impeccable home (model volcanoes can get real messy, amiright?). The post North West is the STEM advocate we didn’t know we needed appeared first on Today's Parent. Prince Harry and Meghan Markle have made one of their biggest breaks from royal tradition, announcing on Thursday that they’re keeping mum on their birth plan and welcoming their first royal baby in private. “The Duke and Duchess of Sussex are very grateful for the goodwill they have received from people throughout the United Kingdom and around the world as they prepare to welcome their baby,” said Buckingham Palace in a statement. While Meghan’s surely been picking her sister-in-law Kate’s brain on everything baby, one thing she won’t need from the mother of three is advice on how to manage the iconic Lindo Wing baby debut (on which the Duchess of Cambridge is now a bona fide expert!). So how will Meghan’s delivery differ from Kate’s? Here are 5 strange royal birth traditions that the Duchess of Sussex gets to skip altogether. Couples spend lots of time deliberating over how they want to welcome baby, especially their first. Imagine sharing some of that plan with the entire world? More than two months before William and Kate welcomed Prince Louis, they gave their plans to the media, including where they’d deliver, the fact that William would be present (a royal rarity!) and when cameras could expect to snap the first photos of Baby Cambridge No. 3. In their statement today, Meghan and Harry made it very clear that they won’t be sharing any of these details ahead of the birth, which could happen any day now (she told fans that she’s due end of April or early May). 8 ways Kate Middleton's birth experience is totally bizarreThe Duke and Duchess of Sussex recently blessed fans with their very own @sussexroyal Instagram feed, but with the vast amount of trolling Meghan has faced on Twitter, they’re understandably staying off that platform. Kate, however, has had news of her labour broadcast on the @kensingtonroyal feed with each of her three pregnancies, which means being international news during the insanity of childbirth (with all the glorious screaming, pushing and sometimes pooping that goes with it). Meghan and Harry have made it very clear that they want their special day to be private, so we’re not so sure they’ll tweet it. Maybe just Instagram? Or, like they did with their statement today, perhaps they’ll only announce in a statement to media. Wherever Meghan welcomes her little one, she’ll have the luxury of focussing only on her new addition and celebrating their growing family with Prince Harry. Like us, she can robe up and toss her hair in a messy bun for as long as she likes. Princess Anne, the Queen’s daughter, was the first royal to welcome her baby at a hospital, and this was in 1977. Up until then, home births in their palatial abodes was the trend of the day. The Queen welcomed all four of her children at home, three at Buckingham Palace and one at Clarence House. So this would actually signal a return to earlier royal tradition, and a very chilled one at that. The hair, the dress, the… heels! Yes, Kate’s first postnatal hours were all about that baby debut, and with Princess Charlotte she even paired her blowout and four-inch heels with—wait for it—a white dress! Yes, white with yellow flowers. We can only imagine the anxiety that would bring. But we also don’t blame her for rushing to get it out of the way so she could go home, throw on some sweats and hibernate with her new babe. Which is how Meghan will be from the very start. And while they’re shirking the traditional pose on the steps at St Mary’s Hospital, the Sussexes have promised a sweet family photo op on the grounds of Windsor Castle a few days after baby’s arrival, according to People—a far cry from the frenzy outside the Lindo Wing. The post 5 strange royal birth traditions Meghan Markle gets to skip appeared first on Today's Parent. The thought of a shiny new bauble is appealing to lots of kids, but that can quickly turn to fear when a stranger comes at them with a piercing gun. So, while junior may have been begging to get her ears pierced for months, what happens if she changes her mind at the last minute? You just don’t pierce their ears, says former Claire’s employee Raylene Marks of Edmonton, whose open letter on the store’s “cruel” ear-piercing practice recently went viral on Facebook, racking up more than 800 comments and 1,800 shares. Currently, Claire’s store policy 509 requires employees to follow through with a piercing regardless of whether the kid is on-board. But Marks’s letter stressed that if a child decides they no longer want their ears pierced, they shouldn’t be forced by an employee, parent or store policy. In the letter, Marks explained that while she is okay with piercing a kid’s ears if they are afraid but excited, when it’s clear that they no longer consent to the piercing, it’s time to draw the line. The debate: Would you pierce your baby's ears?“Sometimes it does take 15 minutes to try to explain the procedure to a child, to get them to pick their earrings, and to calm them down,” the 32-year-old told HuffPost Canada. As to the incident that ultimately caused her to resign, Marks described a seven-year-old girl begging her mother not to have her ears pierced. “She expressed that she didn’t want us touching her, that we were standing too close, that she was feeling uncomfortable. She made it clear she no longer wanted to get her ears pierced. She begged, over and over again, for Mom to please, just take her home,” Marks explained. Marks and a coworker were positioned on either side of the young girl, each ready to pierce an ear simultaneously. At this point, after the girl protested for 30 minutes, Marks decided she was not going to take part in the procedure. “I’m inclined to respect a child’s right to say, ‘NO,’ to any adult forcing any kind of non-medical contact on them,” she wrote. Parent may feel pressured for their kids to follow through because once the packaging is open, they are required to pay for the earrings. Studs at the accessories chain start at $35.50 but can cost as much as $232. The little girl and her mother left the store without going through with the piercings, but Marks’ refusal to follow through left her answering to her manager. “So, if a mother is physically restraining her daughter, holding her down and saying, ‘DO IT,’ while that little girl cries and asks me not to, do I do the piercing?” My manager did not hesitate to respond, “Yes, you do the piercing,” Marks recounted. Hearing this, she quit her job on the spot. Claire’s has since reached out to Marks stating they are looking into changing their policy but did not specify when or what the new policy would look like. While Marks is grateful to all who’ve read and shared her letter, and is hopeful that a public statement will be made if and when Claire’s does revise their policy, it still begs the question, should store policy trump a child’s right to consent? The post A former Claire’s employee got the store to review ‘cruel’ policy for piercing kids’ ears appeared first on Today's Parent. There’s no doubt the Duke and Duchess of Sussex’s upcoming royal baby will take on their parents’ characteristics. The duo have a ton of passion, great senses of humour and big hearts to pass down to their child. If Baby Sussex is born between April 20 and May 20 (which is likely! ), the child will be a Taurus. And here’s what that really means! According to Allure’s horoscope expert, earth signs are known to be very practical and grounded – not unlike Prince Harry and Meghan, who both show off their down-to-earth natures with every royal engagement. Harry’s birthday is Sept. 15, which means he is a Virgo. Allure describes Virgos as kind, detail-oriented, and supportive people who like to problem-solve. Meghan, meanwhile, is a Leo since her birthday is Aug. 4. Horoscope.com says people born under that sign are “natural leaders” who are “hard-working” and “passionate.” These are all really great traits for anyone’s parents to have! Getting back to Baby Sussex, Taurus is also represented by the bull, which symbolizes level-headedness, stamina, provision, stability, virility, strength, helpfulness, determination and confidence. There’s no doubt the royal baby will carry the same conviction as their parents! Meghan Markle just talked about raising a feminist and we're here for it'Just like Duchess Meghan, it seems Baby Sussex will also be inclined to enjoy the beautiful pleasures of life – like good food and relaxation, according to Ganesha Speaks. This is certainly no surprise given that Meghan is a self-proclaimed “foodie” with a love for getting the most out of life. Before she married Harry, the 37-year-old was often spotted around her second home of Toronto, enjoying meals at the city’s best restaurants and cooking full turkey dinners for her closest pals. Ganesha Speaks went on to say many believe Taurus is the most dependable of all signs – and their loyalty to their family, friends and projects never wavers. Willingness, pertinence and a little bit stubbornness will all combine to make a dedicated and level-headed royal baby. Baby Sussex will likely share a zodiac sign with Princess Charlotte and Prince Louis, the Duke and Duchess of Cambridge’s two youngest children. Charlotte is known for her curiosity and charisma (remember her adorable wave while meeting Louis at the Lindo Wing? ), so she and Baby Sussex will certainly get along. The Queen, whose birthday is April 21, is also a Taurus! The post What the future royal baby will be like based on their Zodiac sign appeared first on Today's Parent. The other day I was walking down the street with Robin, my nine-month-old son, in the stroller, loaded up with groceries and library books. I was freshly showered, balancing my coffee cup in one hand and wrangling the dog on his leash in the other, when it occurred to me that it has taken me almost nine whole months to master these skills and really get into my maternity-leave groove. It’s taken me this long to learn how to manoeuver the stroller up and down our front stairs, let alone be able to get us anywhere fun on time. I mean, for the first six months of my maternity leave, I was lucky if I showered twice a week. If I were doing a standard 12-month leave, just when I really hit my stride, I’d be getting ready to head back to work. Thankfully, I’m taking an 18-month leave, and I couldn’t be happier about it. The Canadian government introduced extended parental leave in December 2017, giving parents the option of choosing 12 or 18 months. (Anyone who has been paying into Employment Insurance and worked full-time for at least 15 weeks in the previous year, or 600 hours total, is eligible for either standard or extended parental leave.) While the longer break affords you more time, it doesn’t give you any more money. Whether you decide on 12 or 18 months, you still receive the same total benefit, just spread out over 18 months instead of 12. For the standard 12-month leave, you get just over half of your weekly earnings (up to a max of $562 a week); and for the extended 18-month leave, you receive only a third (up to a max of $337 a week). When I first began thinking about maternity leave, taking 18 months away from my job seemed out of the question. I’m the type of person who finds it hard to be away from the office for two weeks of vacation in a row. Eighteen months is a long time. Would I be replaced? Would I be forgotten? What about the loss of income the extended leave entails? I thought $337 a week sounded OK, but when you subtract rent or mortgage payments, hydro, groceries and bills (phone, Internet, a car payment), you’re not left with much of a cushion for emergencies, not to mention “extra” things like travel or takeout. I have a partner with a full-time job, and I knew it would still be a stretch to make the finances work. For us, the final decision came down to one calculation: what I would earn at work in six months, minus the price of daycare for six months, equals the cost of the longer leave. Essentially, after the cost of daycare, my income during those six months would be drastically reduced. Would I rather work at this reduced salary, or not work and be with my baby? When I spoke to friends who already had kids, they unanimously said I would regret not taking 18 months of mat leave if I was able. As I mulled it over, I started to realize that there are some serious benefits to the longer leave. We have a little help from family, but once I’m back to work, full-time daycare will be a necessity. Where I live in Toronto, finding affordable daycare for any age is hard. The minute you find out you’re pregnant, forget sharing the news with loved ones—your first phone calls should be to every single daycare within commuting distance. I’m currently on eight waitlists, and as far as I can tell, that guarantees me a whole lot of nothing. Finding daycare for an infant (a child under 18 months) is even harder. In Ontario, there are fewer spots available for infants than for toddlers. If you are home with your child until they reach 18 months, you can avoid the headache of finding an elusive infant spot, and go straight into a toddler room. Toddler room rates are usually a bit cheaper than infant room rates, so if you can avoid paying for daycare until your baby is eligible for a toddler room, you’ll save a couple hundred bucks per month, which really adds up. Also, if you already have an older child who’s in school, the longer leave allows you to avoid paying for after-school care, since you’re likely available to pick them up at 3 p.m. Many babies between the ages of 12 and 18 months still take two naps a day, but some daycares can only accommodate one midday nap, realistically. When my niece started daycare at 12 months, she desperately missed her morning nap and would inevitably fall asleep in her high chair, face down in her lunch plate. This meant she missed out on a meal and it messed up her schedule for an afternoon nap—tired and hungry is not a winning combination. If you’re home with your baby until 18 months, you can ease into the two-to-one nap transition slowly, letting your baby drop to one nap only when they’re ready (and maybe, if you’re lucky, you can enjoy some naps of your own at the same time). How to go back to work after an extended maternity leaveAnother perk to the longer leave is being able to frequent drop-in centres, baby swim classes and play groups. Now that Robin isn’t feeding and napping as frequently, his nap times are more compatible with all the super-fun baby programming in my neighbourhood, and he’s finally old enough to really benefit from these activities. Robin and I just started a music class and we’re planning to hit the pool once the weather warms up. While I’ve disconnected myself from the “work” of my job, I do try to keep in touch so they don’t forget about me. I still check my email (when my partner isn’t looking) and stay in the loop on turnover and major office news or changes. Every couple months I bring the baby in to see my colleagues or to meet my boss for lunch. Of course, the most obvious benefit of taking an extended leave is more time to bond with your baby. They’re only this little once, and, as everyone always reminds new moms, we’re never going to get this time back with our babies, so I want to make sure I really enjoy it. There’s so much fun and exciting stuff happening as Robin becomes more active and interactive. Before my eyes, I’m watching this little lump of baby clay form into a tiny person with agency, thoughts, and personality. Just watching him grow and figure things out is arguably the coolest life experience I’ve had thus far. I don’t want to miss a second. The best thing about an 18-month leave is feeling like there is no rush—like I have all the time in the world. Robin was born in June, so I’ll get two whole summers off with him, which is amazing. I’ve got a mat-leave bucket list that includes more travel, more takeout, more time with the baby. I’m drinking in each day of my leave—along with my five daily cups of coffee. I’m savouring each smile, each step, each nap. Giving Robin a little longer cuddle each day, reading one more book at bedtime. Everyone tells you that once you’re a parent, time goes by in the blink of an eye. So if you could slow down and give yourself a longer look, why wouldn’t you? The post I’m doing the 18-month maternity leave and this is why it’s awesome appeared first on Today's Parent. Blue Ivy may have been her parents’ date to 2018 the Grammys, but Beyoncé and Jay-Z definitely aren’t over-sharers when it comes to their children—especially twins Rumi and Sir. Last summer, we got a glimpse of the adorable pair yachting with their parents during the European leg of their On The Run II tour, but they didn’t give fans another look until almost a year later. The latest pic of Beyoncé's twins is missing one key detail'In the new trailer for Beyoncé’s Netflix special, Homecoming: A Film by Beyoncé, the doting mom shares two intimate clips with her 22-month-old babes. In the first, she plants a sweet smooch on Sir’s head while he gazes at the camera. 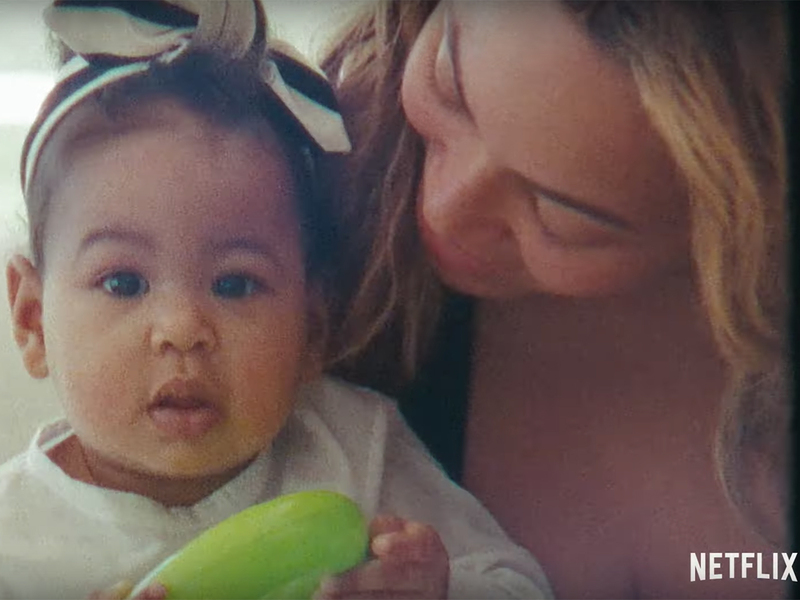 This is followed by a special mother-daughter moment, where Queen Bee smiles down at her little girl, who holds a green toy and wears a cute striped headband. The documentary drops on April 17, and you can expect to see more candid family moments as Lion King star shares her journey from conceptualizing 2018’s historic Coachella performance to turning that vision into a reality as the festival’s first-ever black female headliner. And don’t think they’ve left out the sassiest member of the family, 7-year-old Blue Ivy! The couple’s firstborn has already mastered red-carpet realness and can raise a paddle at an art auction like it’s no biggie, but we didn’t realize she’s inherited Beyoncé’s moves, too. Blue joins her mom and a group of dancers in another clip, sitting on a chair as she shows off her hair-flipping prowess during rehearsals. The post Beyoncé just blessed us with our first glimpse of her twins since last summer appeared first on Today's Parent.